Over 500 Volunteers Needed for the 17th Annual “Huskers Helping the Homeless”! Matt Talbot Kitchen & Outreach, Lincoln’s largest community kitchen and outreach center, is teaming up with over 500 volunteers of all ages for the 17th Annual “Huskers Helping the Homeless”- the Best Defense against Hunger. This year’s event is Saturday, October 5th prior to the Nebraska vs. Illinois football game. Volunteers wearing red “Huskers Helping the Homeless” T-shirts will be downtown, at Sam’s Club and Walmart stores, and at Southpointe and Gateway Malls accepting donations on behalf of Matt Talbot Kitchen & Outreach, and in turn, the working poor, homeless and hungry men, women and children of our community. Kick-off is at 11 am, and volunteer shifts are available both before and after the game. Donations will support Matt Talbot’s hunger relief and homeless prevention services offered 365 days of the year! Online registration began September 4th and will remain open until October 4th. Go to www.mtkserves.org to sign up. Students receive four volunteer service hours and the school with the most volunteers wins a trophy! Past winners are Lincoln Christian and Lincoln Southwest High Schools. 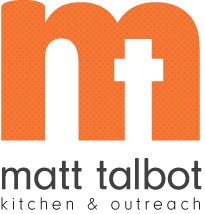 To make a donation to Huskers Helping the Homeless, please send your tax-deductible gift to Matt Talbot Kitchen & Outreach marked Huskers Helping the Homeless, 2121 N. 27th Street PO Box 80935, Lincoln, NE 68501. Thanks for your support! Contact Susie Wilson (susie.wilson@mtkserves.org or 402-477-4116) with any questions. Please help support this very positive community event and be a champion for the homeless.